a) This website may contain links to other sites that are not owned or managed by Monini. Monini cannot monitor the content of such websites and therefore it cannot be considered liable for any consequence arising from their use. The fact that Monini provides links to these sites does not imply any endorsement of their content; they are provided solely to make your navigation easier. In particular, Monini does not assume any liability for any breaches of statutory provisions or infringements of third party rights arising from the content of these sites. 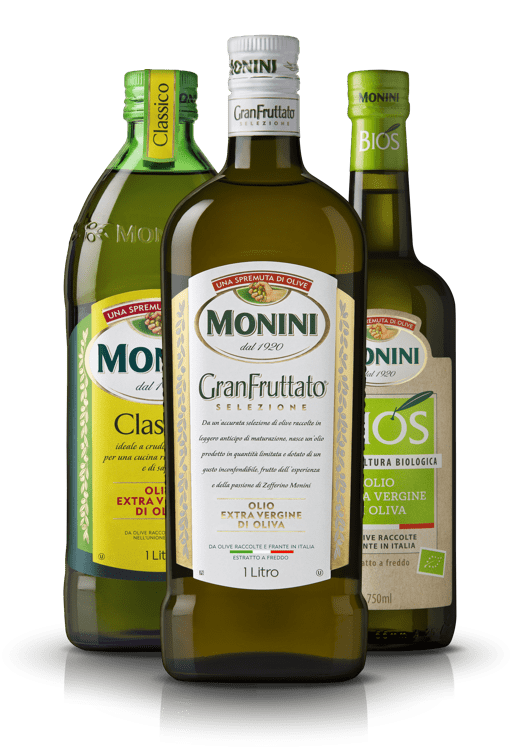 c) Monini does not assume any liability for any infringement of any copyrights, trademarks or privacy rights arising from accessing a site linked to Monini’s website. d) In the event of an order or any other legal declaration in respect of a transaction, a contract is made solely between the user and the website’s owner or operator, and under no circumstances will the contract be between Monini and the user. In this regard please consult the specific conditions of sale on the linked site. 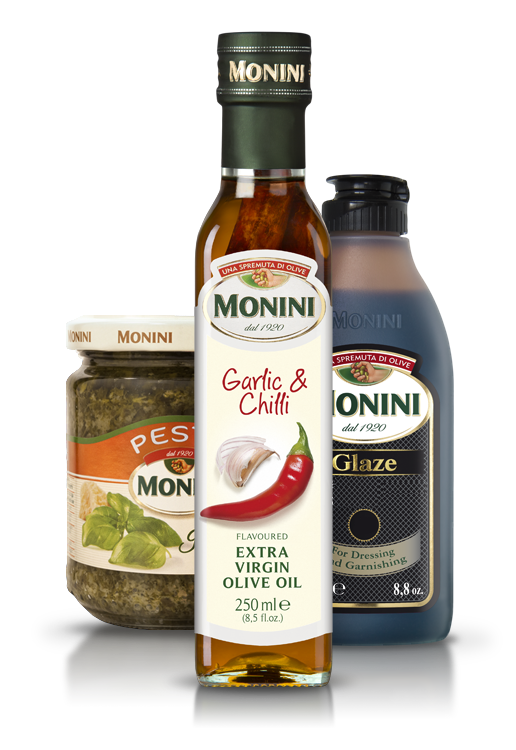 The products of the Monini Group are available in many countries worldwide.